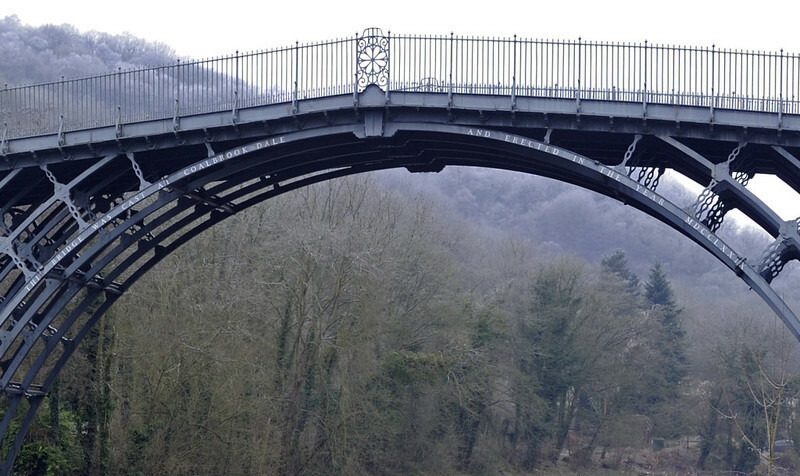 The iron bridge, Ironbridge, 13 December 2012 3. A closer look at the inscription, which reads "The bridge was cast at Coalbrook=dale and erected in the year MDCCLXX1X" (= 1779). In fact the bridge did not open until 1781. There is an identical inscription on the other side. The bridge was designed by Thomas Pritchard of Shrewsbury and financed by Abraham Darby III of the Coalbrookdale Company. He obtained an Act of Parliament in 1776 authorising the bridge and its approach roads.